Hosting the Super Bowl LI, Houston opens up its widely diverse and industrious city for thousands to come and enjoy Texas’ charm. 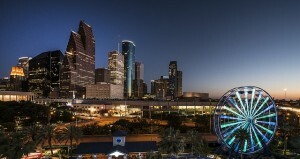 Known for being the fourth populous city in America, Houston offers great resources to businesses and consumers alike. This gives a great connection to its unique range of corporation and culture. Unlike other cities around the nation, Houston provides a wide industrial base in aerospace and defense, energy, and bio-science. With The Texas Medical Center and The Port of Houston there is great economic wealth for the city as a whole. And from the Super Bowl LI, the greater city of Houston is expected to generate an increased amount of income. Rich in culture, Houston does not fail to impress its citizens and visitors with museums, galleries and contemporary works of art. A vibrant area such as the Houston Museum District engages people of all backgrounds and interests with its multiple exhibits such as Houston Museum of Natural Science to the Houston Zoo to Museum of Fine Arts. With over 20 museums, galleries and cultural centers, there is an active involvement of community in the city. Because of the downfall in oil and gas prices in the past couple of years, this has made companies act more efficiently in which could possibly lead to a year of opportunity in 2017. Our environment and society is in a constant state of change. Creative solutions such as Fifth Ring, a B2B marketing agency in Houston that explains positive effects of marketing over the oil and gas landscape, as well as others can combat this change and push Houston forward to a better energy market in the following next years. Mentioned above, The Port of Houston centers on international trade and business, which in turn produces more and more jobs every year. These jobs not only provide a healthy income for Houston’s working residents but helps generate billions in statewide economic impact as well as state and local tax revenues. Along with The Port of Houston, The Texas Medical Center is the largest medical center in the world and represents one of Houston’s major economic forces and core industries. With over 106,000 employees, The Texas Medical Center continues to grow while supplying jobs and care for people all around the world. TMC also houses startups from IntuiTap Medical, a handheld device that aims to eliminate the guesswork from spinal taps, to Allotrope Medical, which provides precise ureter identification during minimally invasive surgery. Each of these startups as well as countless others are supported by the rapidly growing biotech district in Houston and could possibly lead to the launch of the next leading biotech hub. From Arundo, a software startup that brings big data to industrial companies to help them predict failures and improve operations, to DexMat, an aerospace startup that manufactures nanotube wires and films for the aerospace and wearable electronics markets, Houston provides many distinct startups and will further encourage more to join the scene. While running or starting a business can put pressure on your bank account, the cost of living in Houston is considerably much lower than other huge metropolitan areas. By having only a 7% rate above national average, according to Forbes, Houston doesn’t just pay its hard-working citizens a high wage, but offers lower consumer services, transportation costs and housing prices. With the median home cost at $219,000, Houston is drastically cheaper from places such as Seattle, New York, San Francisco, Chicago and other entrepreneurial and inventive cities. Whether you are organizing a company trip to go to the Super Bowl LI, in town for work, or own a local business in the area, Halloo can help you manage your company by keeping in touch with one another. Find a Houston area phone number for your business. To search numbers available in area code 281, 346, 713 or 832 click here. This entry was posted in Local phone numbers and tagged Houston Phone Numbers by Kathryn Anderson. Bookmark the permalink.